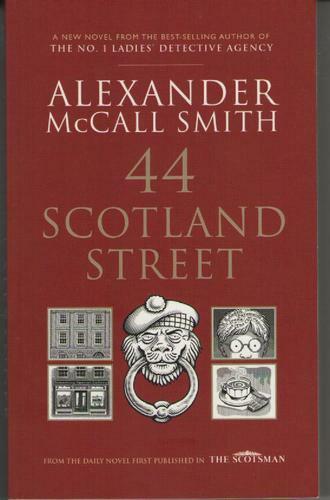 After reading Tales of the City, I decided that it was probably appropriate for me to read 44 Scotland Street, Alexander McCall Smith’s story originally serialised in the Scotsman. I always find it interesting reading stories that are set in places that I know, to see what the authors do with the familiar settings and societies. Like The Prime of Miss Jean Brodie, 44 Scotland Street is set in Edinburgh, though it’s more closely tied in to the geography of the city and features a number of real-life people amid the fictional characters. It was the thought that I don’t read enough Scottish literature, which led me to pick this book up on my wander round the library yesterday, and now that I’ve read The Prime of Miss Jean Brodie, I think I’ve probably filled my quota for a while. Although Edinburgh’s literary scene is now more likely to be identified as belonging to Ian Rankin, Irvine Welsh, or Alexander McCall Smith (or even worse, J.K. Rowling! ), I don’t think I’ve ever read a book that better portrays a place than Brodie does of the area in which I live. It’s not so much about the place, Morningside and Merchiston are only mentioned once, and most of the recognisable action takes place either on Cramond, in the Braids, or the Royal Mile. (Confused yet? Don’t worry, here’s a map!). What makes this book so thoroughly Edinburgh is the character of Miss Jean Brodie herself. A junior school teacher, She’s domineeringly middle-class, judgemental, very concerned with appearances, and implacably arrogant. That’s why she’s so frustrating, both for me, and for the people that encounter her. While the story is about Miss Brodie, it’s told through the eyes of “The Brodie Set”, six girls that she had adopted as her personal coterie. While Miss Brodie’s characterisation is clearly defined and expanded by dialogue and the plot, most of what we find out about the Set is told to us directly by the narrator. The only real exceptions are Sandy, the closest the novel comes to a protagonist, and Mary Macgregor, whom everyone despises (but is still, inexplicably part of this elite group of individuals). Immediately after I finished the book, which had taken me a bit less than two hours, my girlfriend asked in astonishment how High School English classes managed to drag it out over seven weeks. My somewhat dismissive response was that it’s the sort of book that the English Literature curriculum loves to dissect. It has a non-linear narrative, a unique authorial voice, social context, Historical context, and, in a twisted way, it’s about adolescence and coming of age. After having slept on it, I realised that while I really didn’t like the book, any of its characters, or its narrative style, that doesn’t stop it from being a good book in a technical sense. 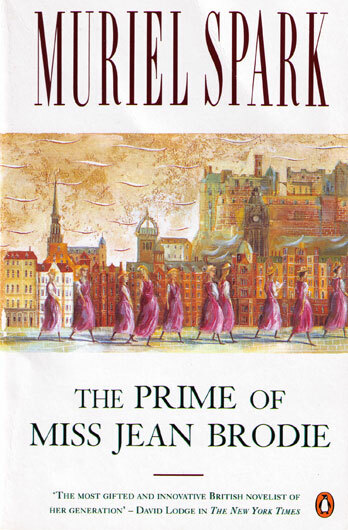 Miss Brodie’s downfall in the eyes of her most loyal students as they age is, I suppose, the main thrust of the novel, and it is executed well. However, there is enough that is wrong with this book that even this realisation, and its excellent portrayal of a certain part of Edinburgh society, cannot make me say I liked it.